Help us communicate the complexities of climate change by making small awesome games and let us help you turn those small games into bigger games. 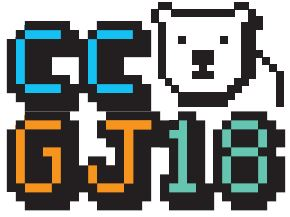 Climate Jam 2018 is a game jam focused on making games which teach people about climate change. It will run for the whole of July and at the end we would like to help the best teams make their games into something bigger by helping them apply for a science communication grant. (1) What is Climate? (2) Global warming doesn't mean it's getting warmer everywhere, and (3) I can make a difference. The game jam will have public voting and the top ranked games will be shown to a panel of judges including climate scientists, game designers and science communicators. We will then pick the best games and work with the teams who made those games to find funding routes to making those games bigger! Be part of our research and be eligible for a free prize draw! If you wish to participate head over to this link before you start making your game. There will be two criteria that anyone can vote on and one criteria just climate scientists vote on. The two criteria everyone votes on are (1) Gameplay/Fun and (2) Educational Value. The criteria climate scientists vote on is (3) Scientific Accuracy. We are a group of scientists from Wales and we are really quite worried about the way people talk about climate change. There are a lot of misunderstandings which people in positions of power use to convince people climate science is just scaremongering. Partly that's our own fault, scientists generally aren't great communicators (notice how I'm centering this text and using brackets unnecessarily). We got to thinking, what if we made a game which taught you the complexities of climate change science through the way you interacted with it. Not a game that shows you facts about climate change between the fun part, but a fun game which happens to teach you about climate change. Then we thought instead of us trying to make one game, what if we got the game development community to help us with ideas, hence this game jam! This work is supported by The Welsh Crucible, Bangor University, Cardiff University, Cardiff Metropolitan University, the Natural Environment Research Council, the Sêr Cymru II programme and Swansea University. A thing about open-air art museums. A deck-building game where you play cards to exploit a small ecosystem while avoiding destruction as long as possible. A game about life in the sad age of global warming. This game is my entry for the climate jam 2018.